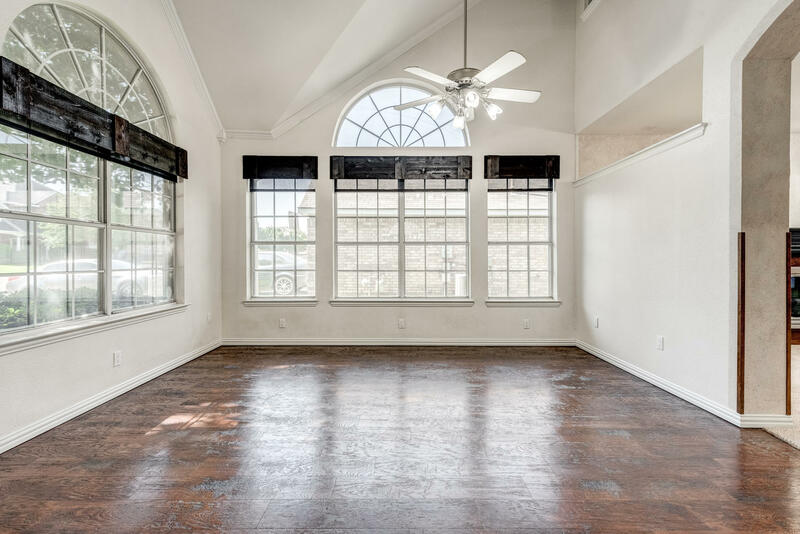 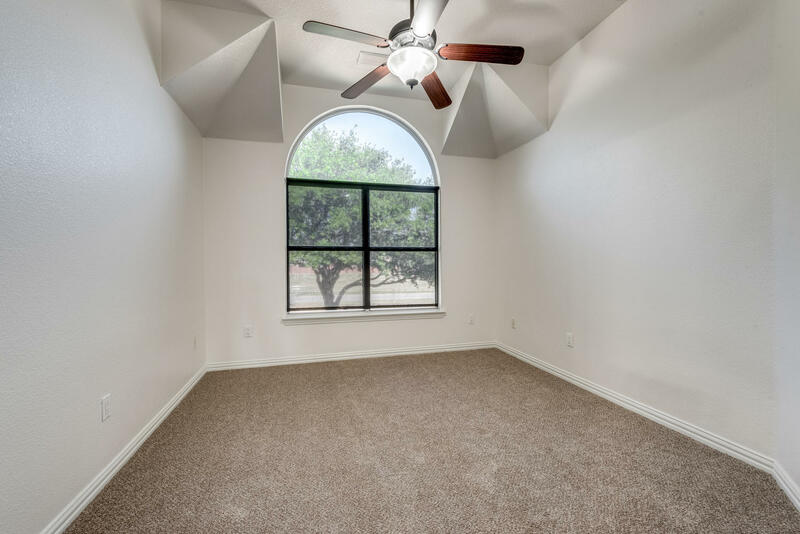 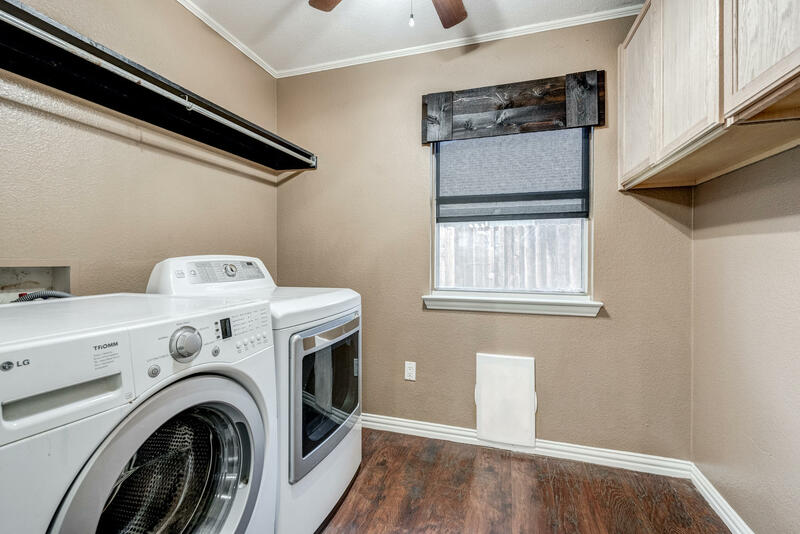 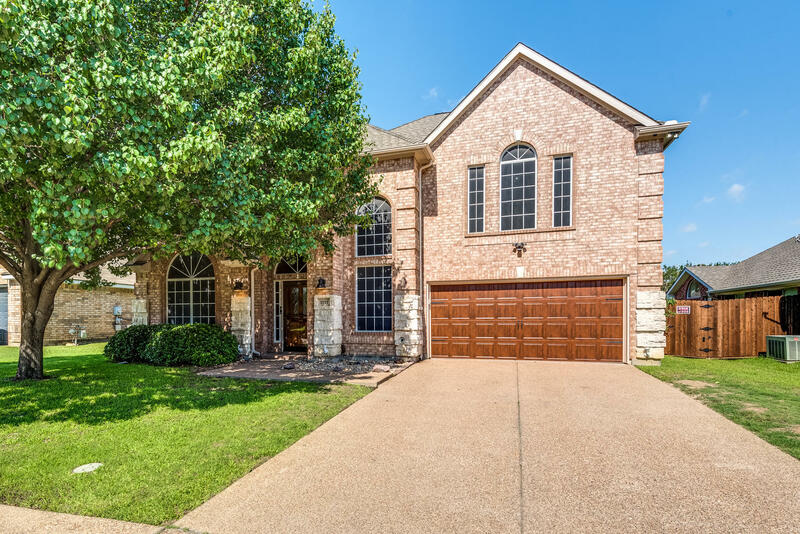 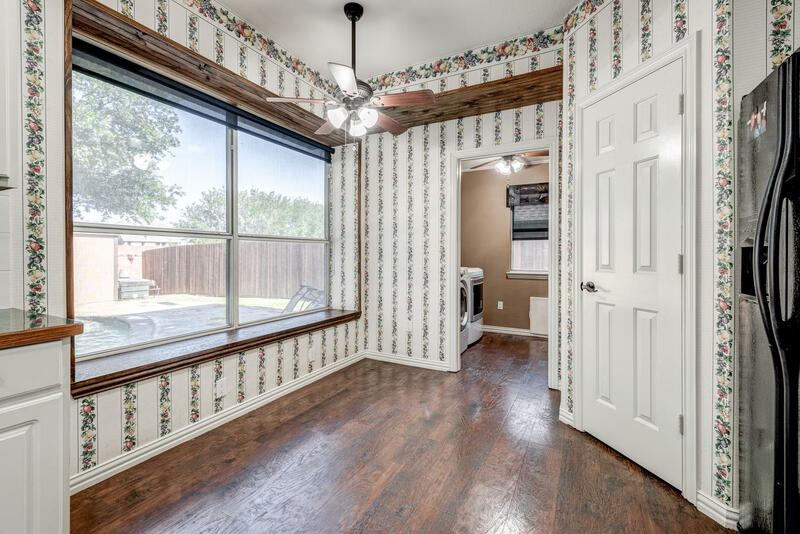 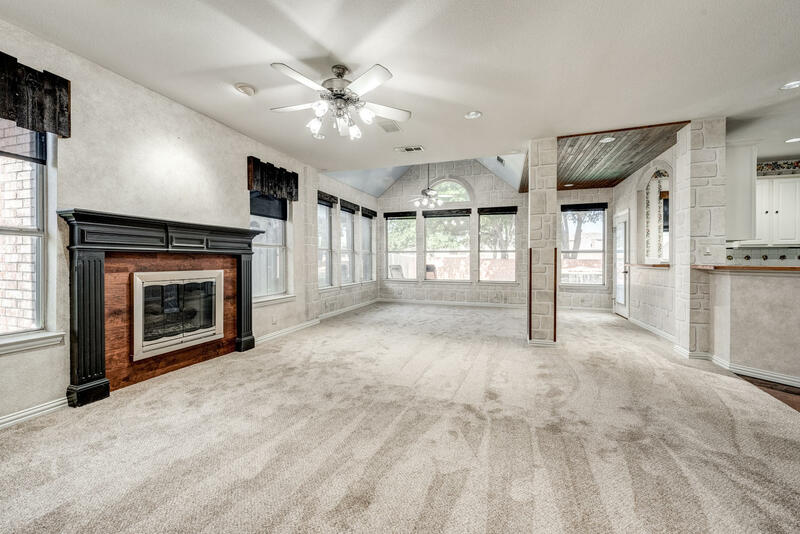 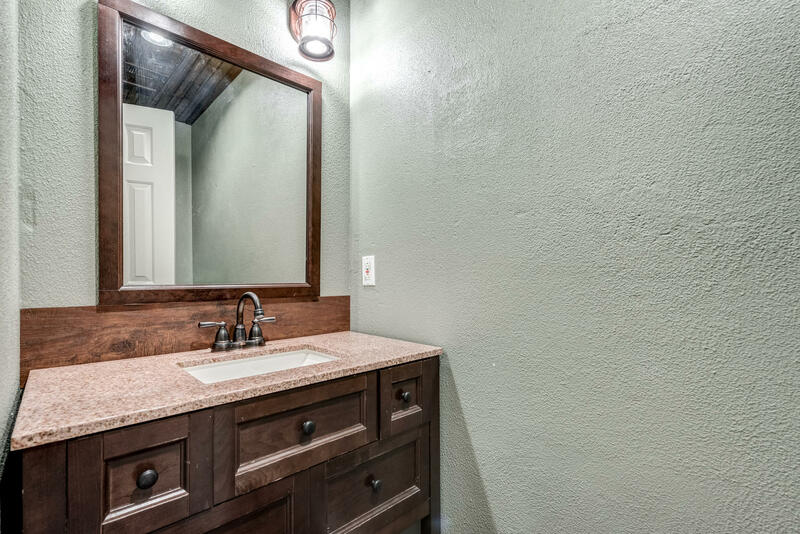 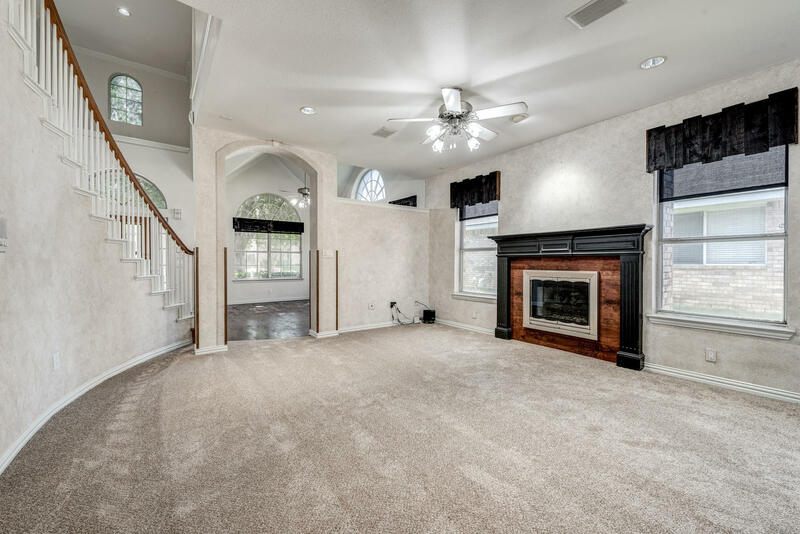 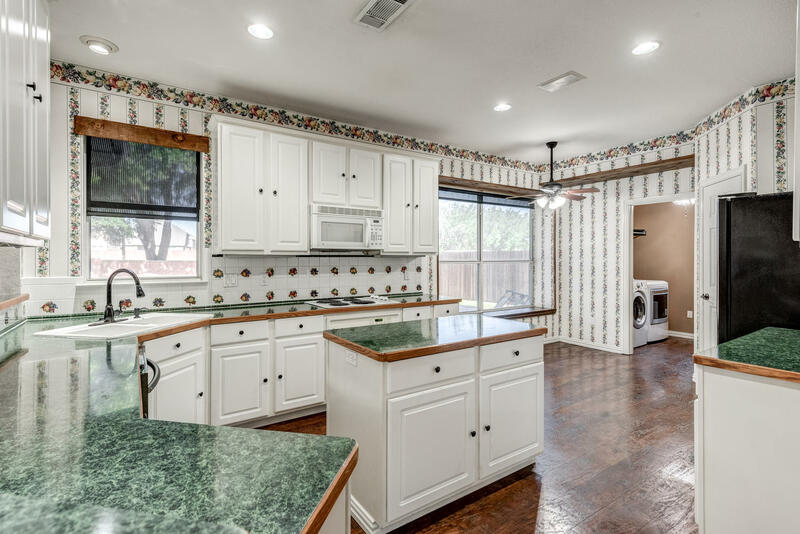 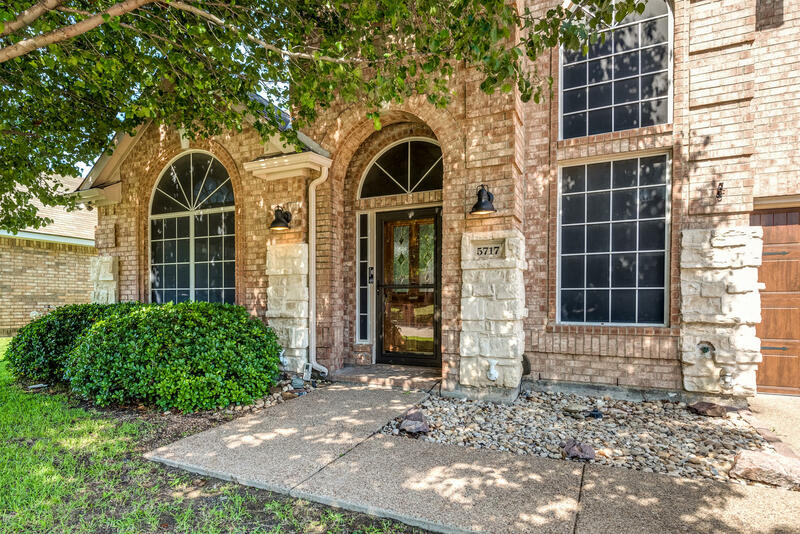 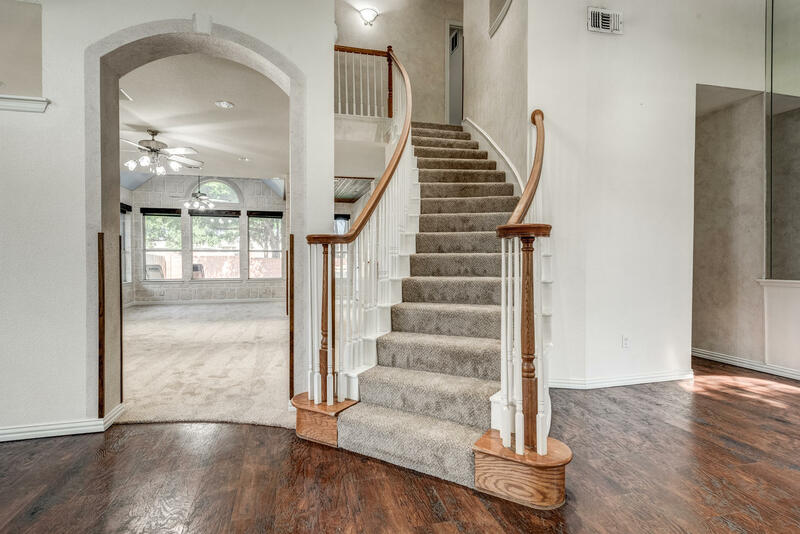 Located on a sunny, tree-lined street in the quiet neighborhood of Fossil Ridge with no HOA, this home is moments away from Big Fossil Creek, walk to Haltom High school, shopping, dining, and highways. 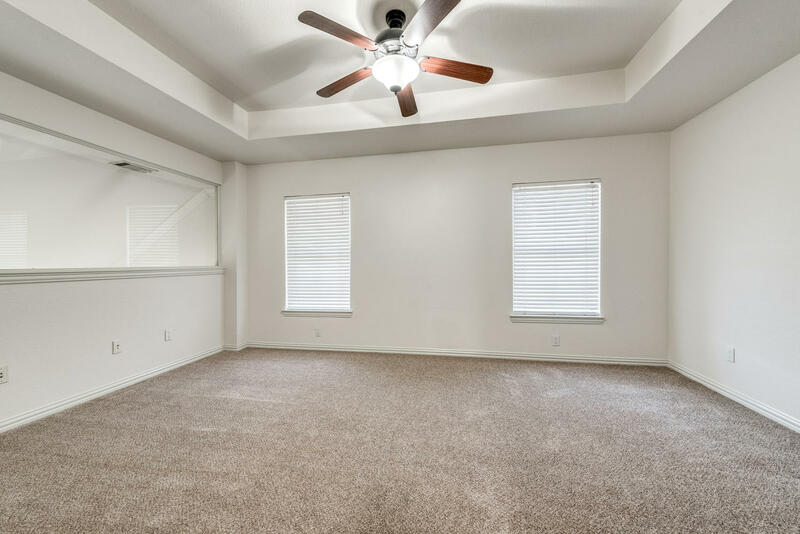 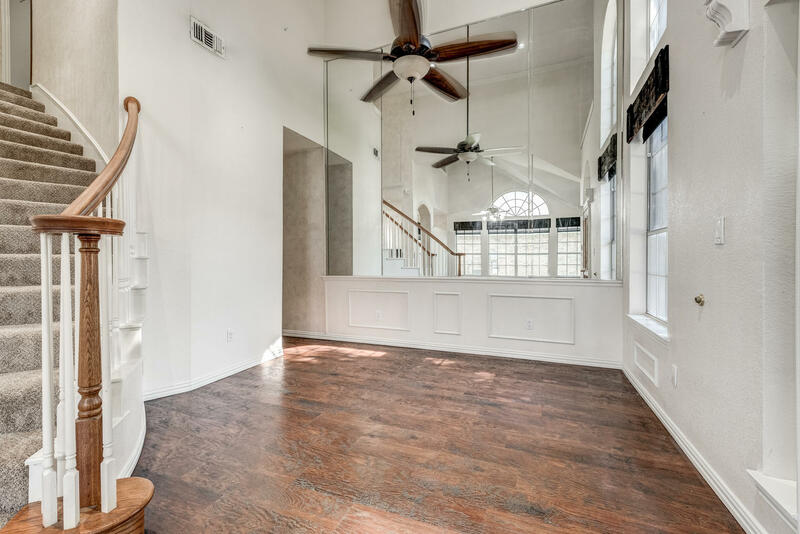 The open and flowing floor plan is comprised of 2 living areas including game room, 3 bedrooms, and backyard resort. 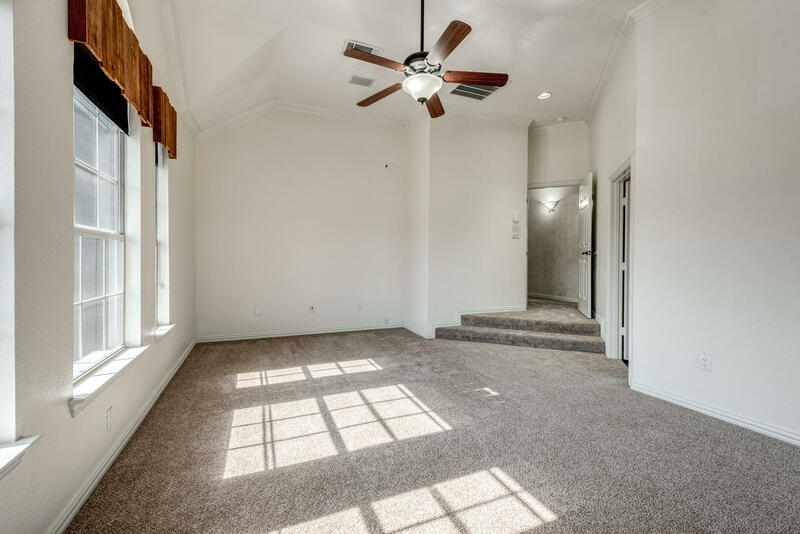 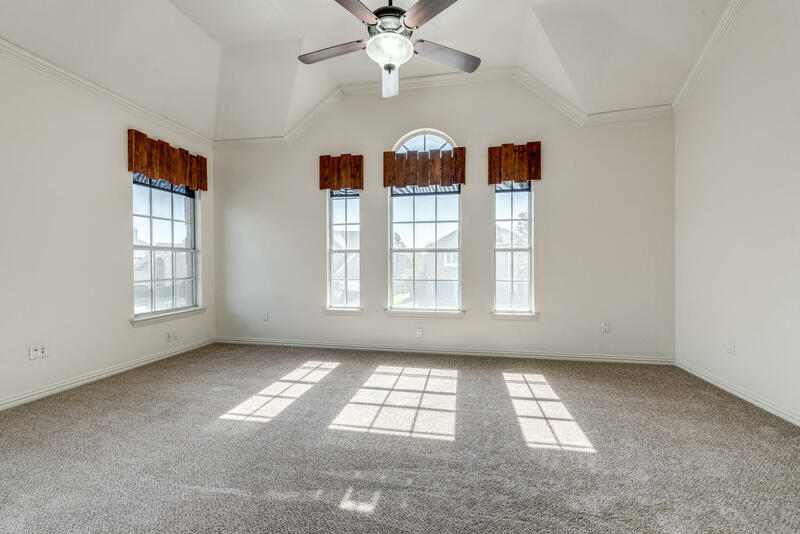 Upon entry, you are greeted with a soaring 2 story entry and a spacious living room that looks out to the backyard resort. 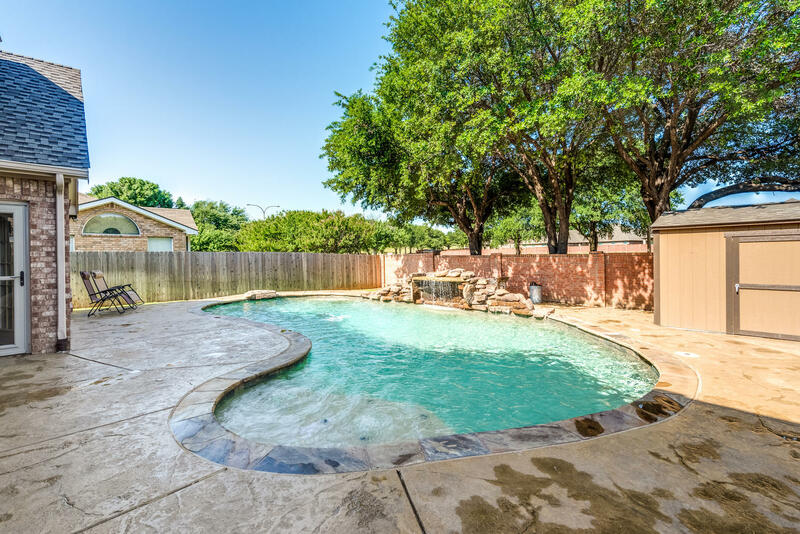 The backyard boasts heated pool with waterfall and water feature, shed, and open living areas. 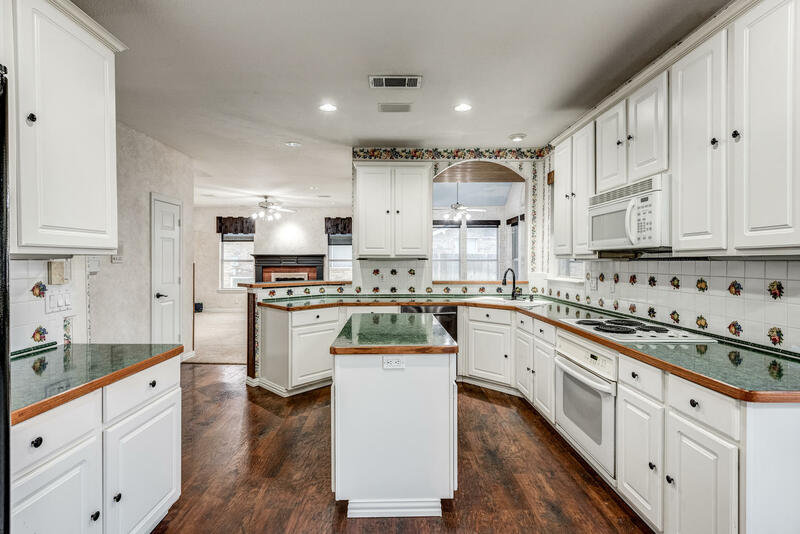 The spacious kitchen offers an island and plenty of cabinet and counter space. 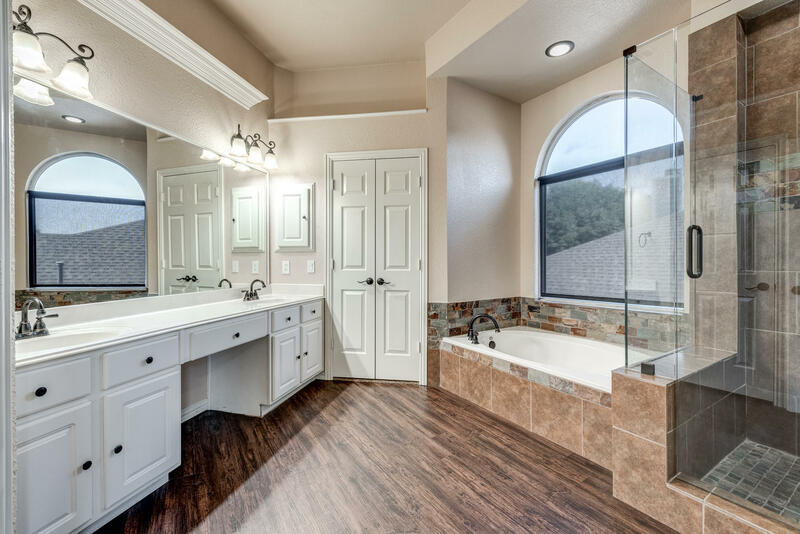 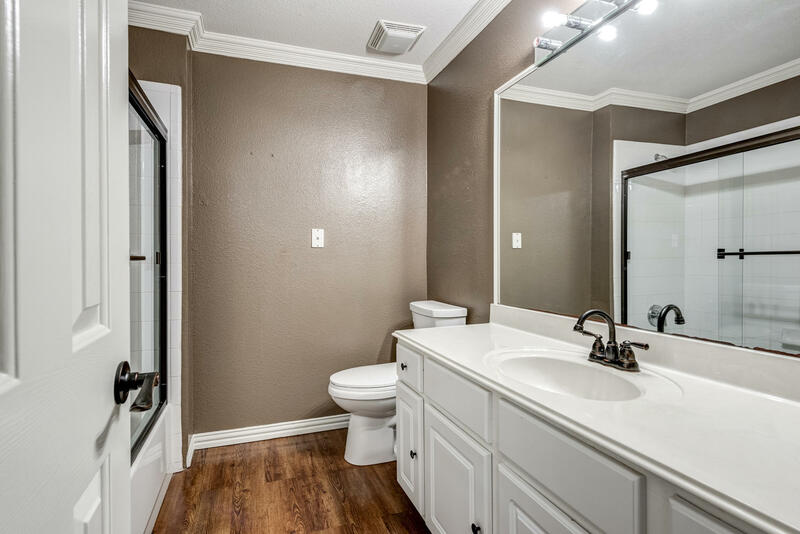 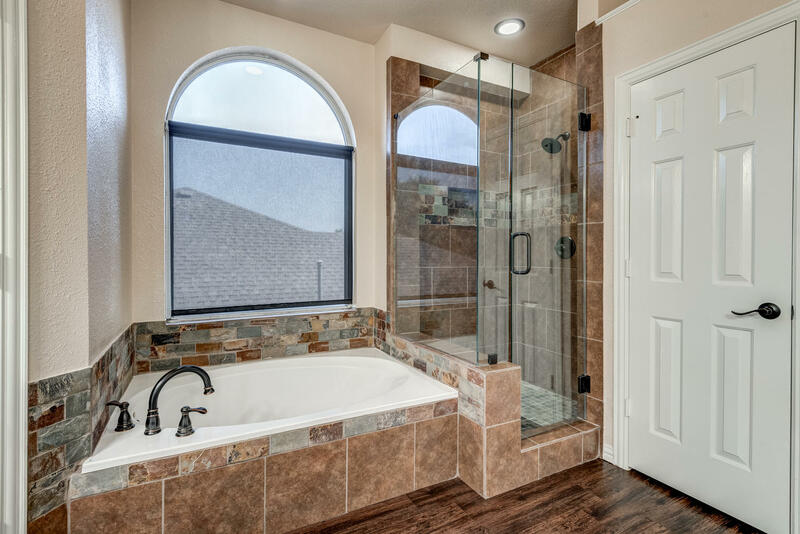 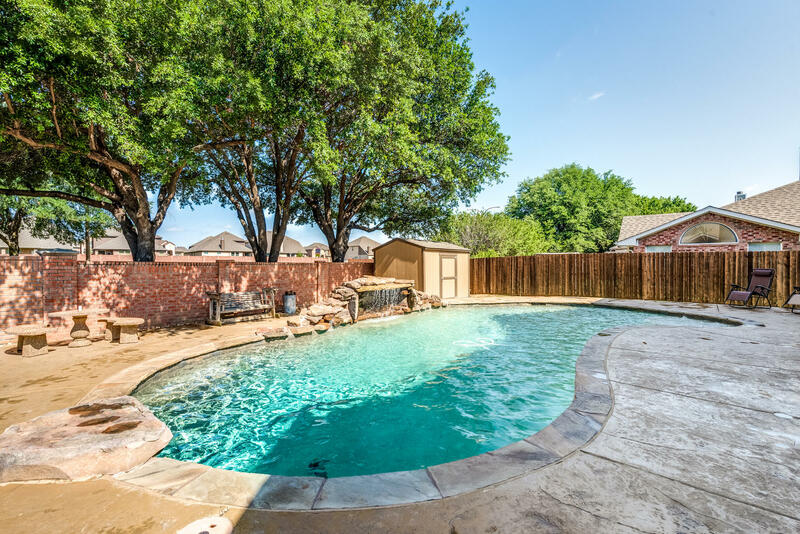 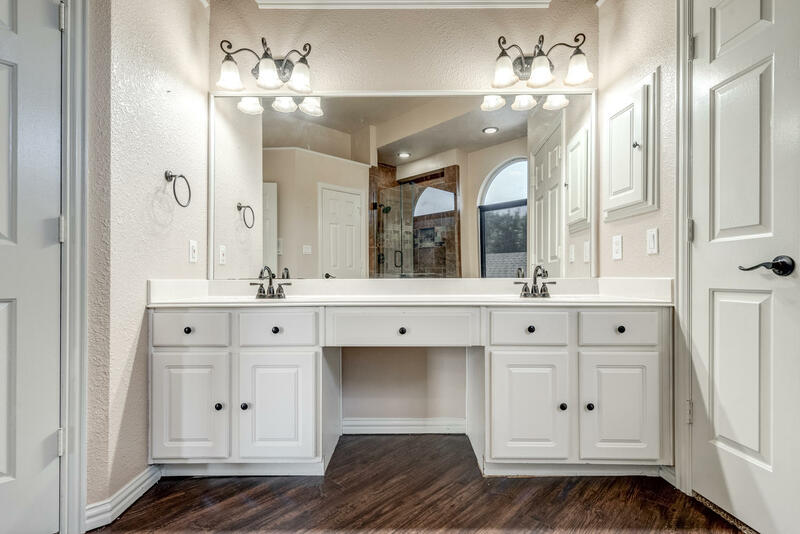 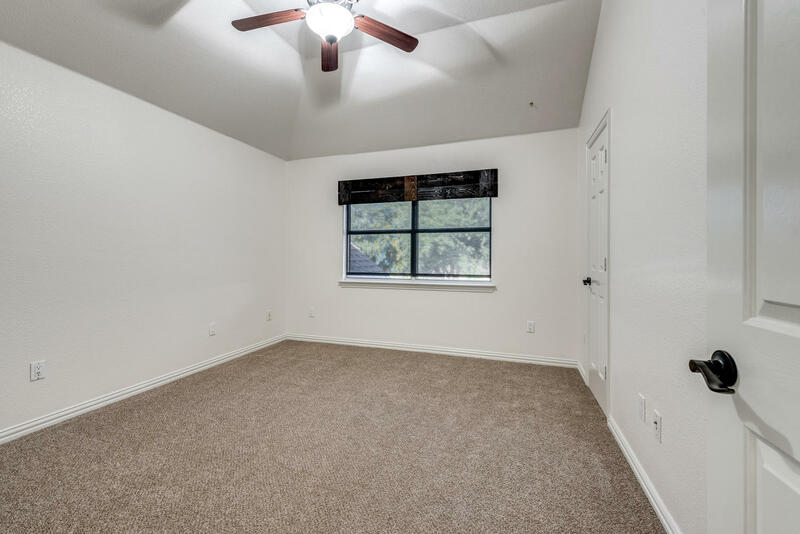 Highlights include recently installed pool with water features in November 2017, updated master bathroom shower, recent carpet, recent paint interior and exterior, updated trim, lots of storage, and crown molding.